With the success of Dead Space 3, you could have bet the farm that Dead Space 4 was going to happen and Visceral Games and EA made a brief announcement today in response to a early morning leak by an employee on Twitter. 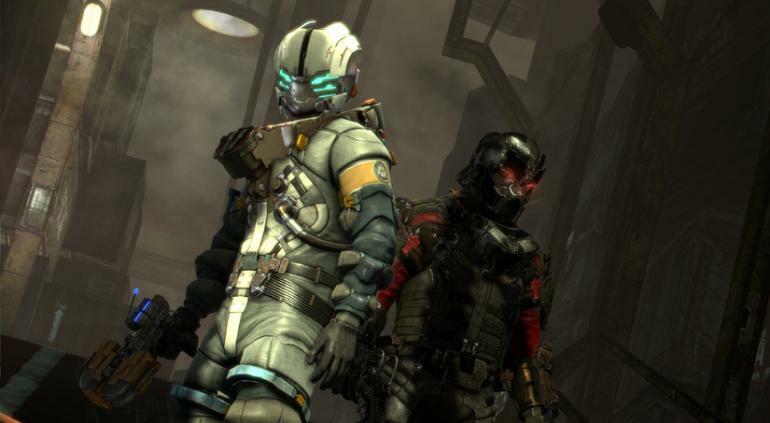 The release said "Yes, Dead Space is returning for a fourth round of guts and glory. Despite what you may have read Isaac Newton will again be featuring as the lead protagonist." There was the usual yada yada and then this wicked gem near the end of the release. "Dead Space can be a game that can be taken a bit to seriously at times so we wanted to have a bit of fun with the player so Tom Cruise has been cast as a renegade Unitologist who has finally seen Unitology for what it really is. Given the similarities to Unitology and Tom's own religion of Scientology we thought it would be a pretty meta thing to do, and give the game's players some further food for thought as they slice and dice their way on planet Earth." Tom Cruise was quoted as saying, "Yes, it's a pretty clever joke. The idea threw me at first but I played Dead Space 1 and 2 right through in the same weekend and thought I really should delve into video game acting so I signed up." That's pretty crazy, almost jump on the couch worthy kind of news. Let's see how this pans out. Dead Space 4 will be available for purchase on 1 April 2017. Correction: Tom Cruise was actually cast as Grand Moff Tarkin in Rogue One and made a cameo appearance.